Every 6.5 seconds someone dies from tobacco use, says the World Health Organization. Research suggests that people who start smoking in their teens and continue for 2 decades or more will die 20-25 years earlier than those who never light up. Quit Because are proud to announce the release of our brand new video game made with the British Heart Foundation. 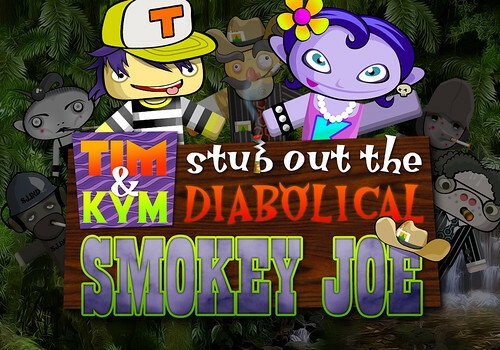 If you're a fan of old-school platformers like Mario and Sonic, check out Tym & Kym Stub Out The Diabolical Smokey Joe. There are four different levels to play through and loads more stuff to collect, so see if you can unlock absolutely everything (and everywhere)! This is one of the funniest and weirdest cartoons we've ever seen. Check out our collection of the Helpers' webisodes, and prepare to be creeped out at the thought of smoking! There's 2 new videos every month so re-visit this entry or go to the EU Helpers website for your next dose of craziness. Congratulations to the winners of Smoke & Mirrors' film competition. We think they're awesome and really effective. November is Lung Cancer Awareness month and Cancer Research UK have published some important facts that you should know about lung cancer and smoking. 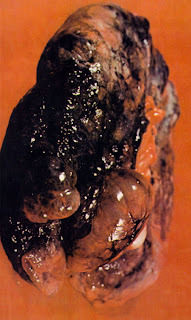 The link between tobacco and cancer was established more than 50 years ago. Smoking causes almost 90% of lung cancer deaths. In Britain, around 1 in 5 adults smoke cigarettes, that’s about 9.5 million people. Well, MTV Smoke Screen has finished and it's been a huge success for a lot of the guys who have managed to quit the habit. Their final video diaries are up so you can see the advice they have to give at the end of it all. We saw British girl Rachel last month, so let's check out what she has to say about becoming a non-smoker! A study from McGill University Health Centre in Edmonton, Canada has said that smoking just one cigarette can make your arteries stiffer and the heart work faster than it should. Leading medic Dr Stella Daskalopoulou claimed smoking just a few sneaky cigarettes could have a significant impact on the heart. "This was revealed very clearly when these young people were placed under physical stress, such as exercise." Amanda Sandford, of anti-smoking campaigners ASH, said: "This study adds to the growing body of evidence showing there is no safe level of smoking. "Young adult smokers who say they smoke only 'socially' or 'occasionally' in the belief it is not doing them much harm should think again. "Every single cigarette smoked adversely affects the heart and increases the chances of a fatal heart attack even among relatively young smokers." Smoking also increases the build up of fat in the artery. Stiff and fatty arteries are a very risky combination for the heart! One of our quit because... presenters - Alison Walsh - is Miss Quit for the next month as she helps out some guys and girls from all over Europe to stop smoking. She's working with MTV on Smoke Screen. It's a website following their attempts to quit through video diaries, which Miss Quit comments on and gives them her expert advice! We're the youth service at QUIT, the charity that helps people quit smoking. We help young people of all ages make informed choices about tobacco use and provide support and advice to those who want to stop smoking. Since 1994, Quit Because have worked with over one million young people between the ages of 8 and 18.